WWE RAW will be a big show tonight. We highly encourage fans to tune in, if anything because WWE needs to the ratings boost. 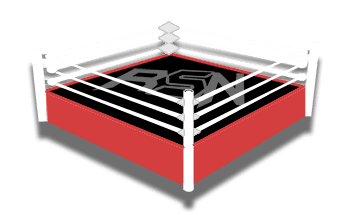 Either way, we will keep you updated on all you need to know here at Ringside News. There are a couple of big segments planned for tonight’s show that could benefit from a guest appearance. Along with Ric Flair’s birthday, WWE also booked Roman Reigns’ return to RAW for some sort of health update. We previously reported that The Rock was in Atlanta over the weekend for a screening of Fighting With My Family. Now PW Insider notes that he is still local because Atlanta is the current filming location for Jumanji II, but that’s not all. Batista is also in Atlanta filming a project. Neither Superstar is currently backstage at RAW, but their closeness to both Ric Flair and RAW’s Atlanta location is curious. Evolution consisted of Ric Flair, Triple H, and Batista so an appearance from The Animal could make sense. The Rock could appear on a couple of segments because he is also Roman Reigns’ cousin and Hobbs & Shaw co-star. We will have to wait and see what happens, but WWE RAW could be a big one this week.